Jenkins, A.R. 2011. 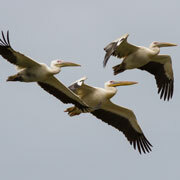 Winds of change: birds and wind energy development in South Africa. Africa – Birds & Birding 15(6): 35-38. Jenkins, A. 2010. Fast tracking: A Peregrine Diary. Africa – birds & birding 15(1): 46-55. Jenkins, A. 2010. 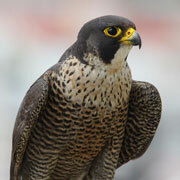 Cliff-hangers: A Peregrine Diary. Africa – birds & birding 15(2): 34-43. Jenkins A. 2010. On rocky ground: Taitas secret sanctuary. Africa – birds & birding 15(5): 48-52. Jenkins, A. & Smallie, J. 2009. Terminal velocity: end of the line for Ludwig’s Bustard? 14(2): 34-39. Jenkins, A. 2008. Wing bling: keeping track of raptors. Africa – birds & birding 12(6): 45-49. Jenkins, A. 2007. On the trail of the Taita. Africa – birds & birding 12(3): 35-37. Jenkins, A. & Davies, R. 2005. Dying for a drink: running the raptor gauntlet at Kalahari waterholes. Africa – birds & birding 10(4): 34-45. Jenkins, A. 2005. 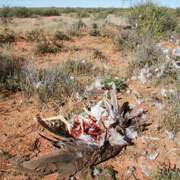 Southern Africa’s Birds of Prey. Africa Geographic, Cape Town. Jenkins, A. & van Zyl, A. 2002. 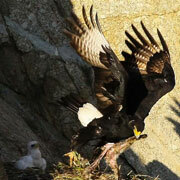 Home on the range: raptor riches of the Cape Peninsula. Africa – birds & birding 7(5): 38-46. Welz, A. & Jenkins, A. 2005. How green is the valley: monitoring Fish Eagles along the Breede River. Africa – birds & birding 10(1): 30-37. Curtis, O. & Jenkins, A. 2001. It’s never too late to learn: the effects of pesticides on southern African environments. African Wildlife 55: 13-15. Curtis, O., Jenkins, A. & Simmons, R. 2001. The Black Harrier: work in progress. Africa – birds & birding 6(5): 30-36.
de Goede, K. & Jenkins, A. 2001. 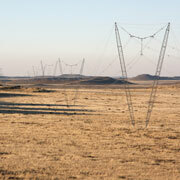 Electric eagles of the Karoo. Africa – birds & birding 6(4): 62-67.